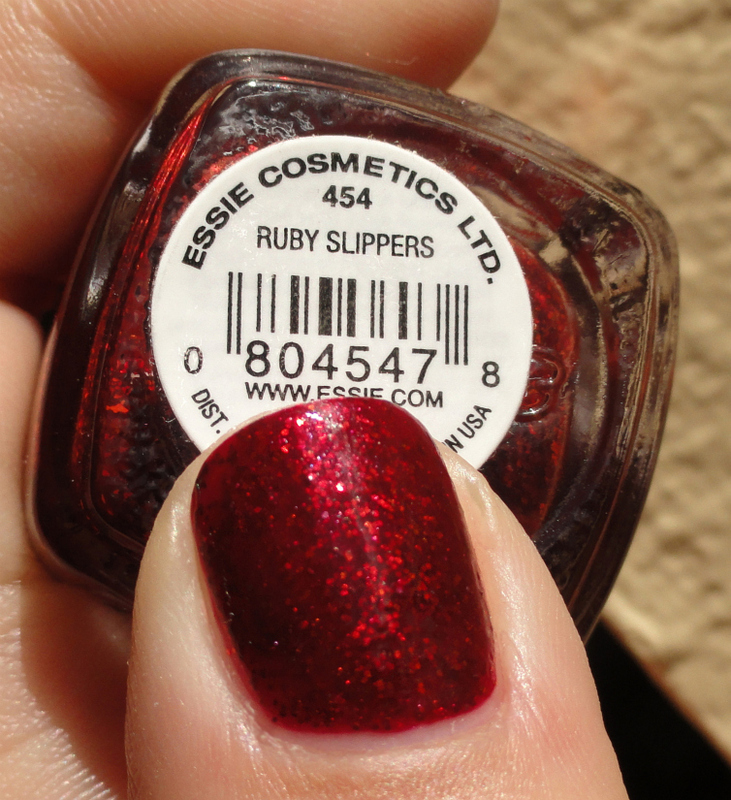 There are a lot of "ruby slipper" themed polishes out there. 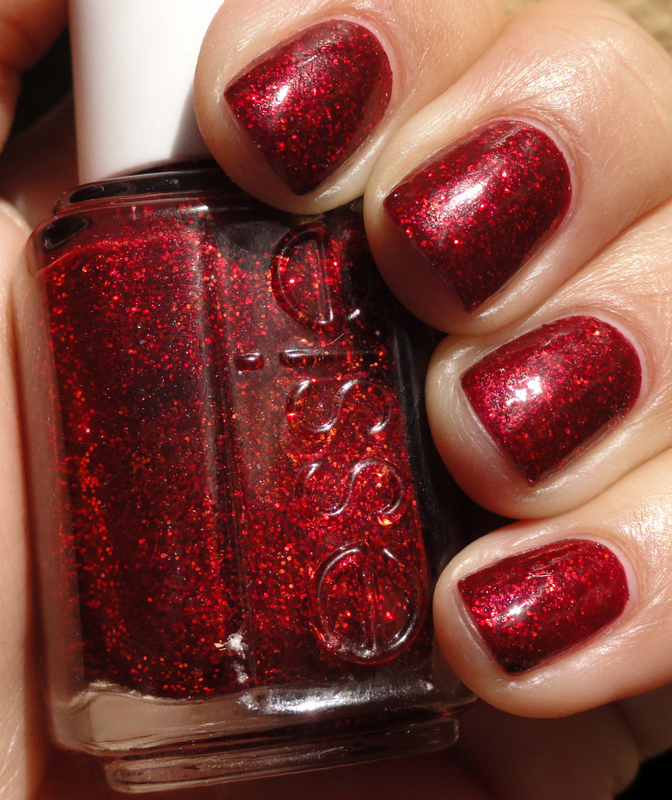 China Glaze Ruby Pumps is a notorious and often copied one. 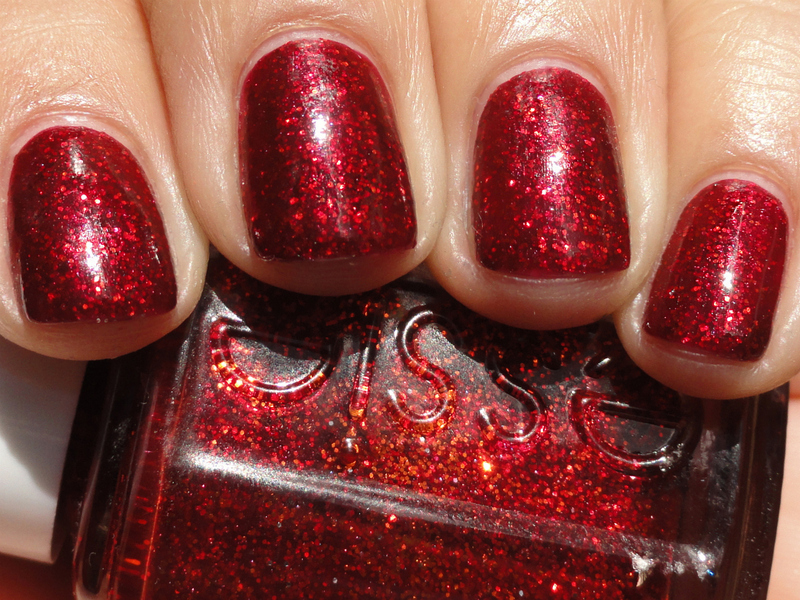 Essie's Ruby Slippers is unlike all of the glittery red shades I've seen with the Wizard of Oz moniker. It's a discontinued and vintage-y polish, not sure what year it came out. The glitter is red and maybe gold, it's hard to tell but there is a definite gold ember-like glow against the darkened red jelly base. There might be some pink sparkles buried in there as well. What I love most about this polish is that it is really easy to apply for a glitter, it wasn't lumpy and thick or anything. People commented on my mani asking if I got glitter gel nails, which I find a terrific compliment. I used one coat of Seche Vite to smooth it but it wasn't terribly bumpy either.